Running the Door County Half-Marathon or Nicolet Bay 5K next month? Turn the event into a weekend and book a stay now at Ephraim Shores Resort, one of the best hotels near Peninsula State Park, the venue for the May 6 event. The Door County Half-Marathon and the Nicolet Bay 5K celebrate their 10th year in 2017. 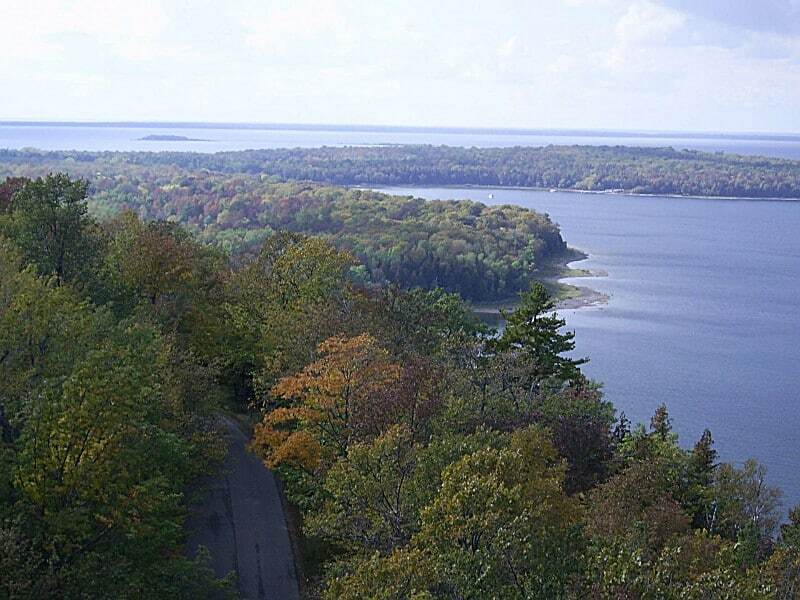 The popular events take advantage of the beautiful Peninsula State Park and are run on a closed, USATF-certified road course. Many runners spend the entire weekend in Door County, taking in the picturesque scenery and visiting local restaurants and shops as a way to relax and unwind after the race. Located in scenic Ephraim and in walking distance to its quaint shops and restaurants, Ephraim Shores is a short drive away from Peninsula State Park, making it easy to get to the race courses or to view its scenic beauty. On the morning of the race, there is also a convenient trolley that picks you up at the resort and takes you to and from the park. The Half-Marathon weekend is the first time Ephraim Shores is open for the season and we are excited to welcome all of our guests. Our family-friendly resort overlooks Eagle Harbor and has everything you need to relax. We offer a variety of comfortable rooms, from those designed for just two including a whirlpool to two bedroom suites that include a full kitchen and living area. Ephraim Shores offers multiple amenities, including an indoor pool and hot tub (perfect for a post-race soak), an exercise room, a private sundeck and waterfront providing wonderful views of the area’s famous sunsets. Do not delay and make your reservation today for the half-marathon weekend or other spring and summer getaways. One of the best hotels near Peninsula State Park, Ephraim Shores Resort offers well-appointed rooms and a variety of amenities, including a beach, private sundeck and an indoor pool. Ephraim Shores has everything you need for your weekend away. Contact us at 877-854-2371 or visit our website to make your reservation.